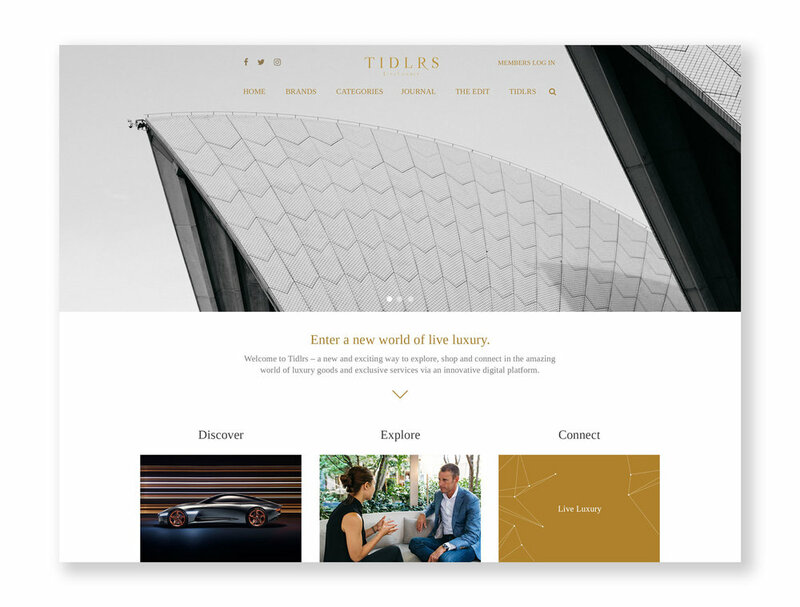 Building on our existing content partnership with global luxury platform Tidlrs.com — we collaborated with the company to create a sophisticated sales & marketing presentation that would communicate their brand ethos & modus operandi and match their signature aesthetic, for the specific use of targeting B2B sales and garnering enhanced exposure and visibility in the process. Taking the Tidlrs.com brand further. 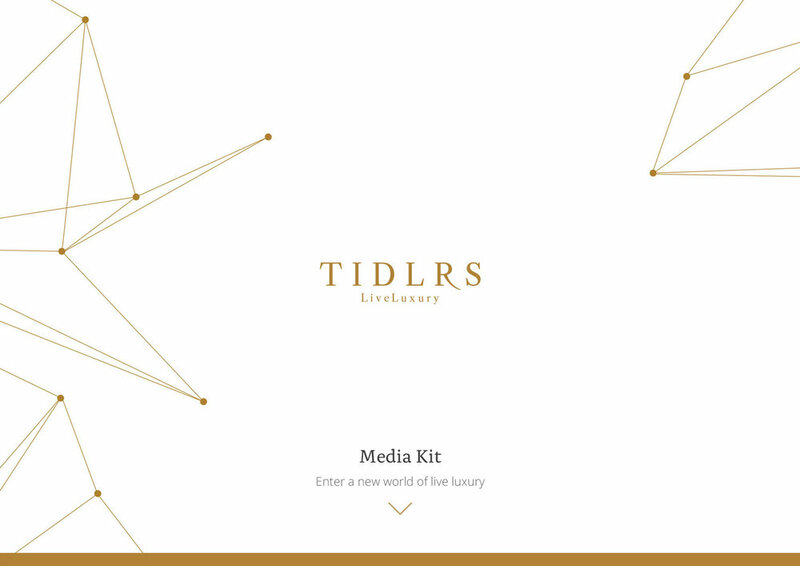 As a new entrant in the booming — but cutthroat — arena for online luxury goods & products, Tidlrs.com needed a media and marketing kit that would clearly and succinctly convey the company’s competitive edge in the market. Fusing our PR, media & editorial expertise with intelligent corporate design, we consulted with the founder and dedicated marketing team to identify and distil the businesses’ core strengths, brand values and Unique Selling Point (USP) into a comprehensive document with both style and substance that speaks volumes to media, customers and investors alike. 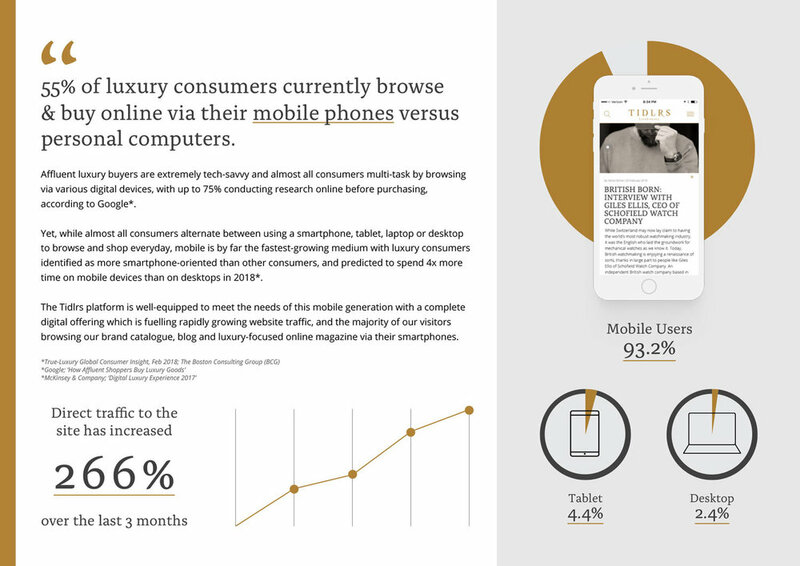 Luxury purchases via digital platforms are expected to more than triple, with nearly one-fifth of personal luxury sales to take place online by 2025*, representing an immense opportunity for innovative companies and platforms with future vision, strong brand foundations and a rich, well-defined content, media & market strategy. A tailored, consistent, and full-service solution for premium content. 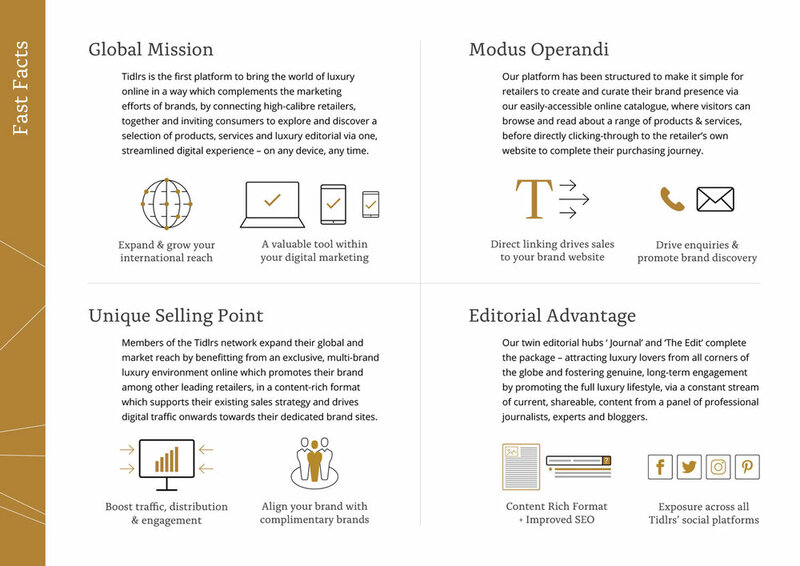 Putting quality content at the heart of their business model and consumer acquisition strategy, Tidlrs engaged The Ink Collective to regularly produce a selection of custom editorial pieces and imagery each month — ranging from curated photo shoots and exclusive CEO interviews with top executives & brands, to investigative features on luxury-led topics, global event coverage, travel guides and product previews. Over the course of 2019, this collaboration will extend to include editorial direction of the platform’s new online magazine the ‘Journal’, in addition to contributor management and social media support across all branded digital channels. Sydney is one of hottest, must-see luxury spots in the Southern Hemisphere. This is your comprehensive guide on what to see, and where to eat, stay and play on arrival. Local approved. Hyundai-owned luxury car company Genesis Motors could be the marque to take on Tesla. Here, the man at the helm reveals their latest electric model, and why they’re a force to be reckoned with. An exclusive interview in Paris with the head of one of the largest luxury conglomerates on the planet, revealing his plans for an ambitious company-wide transformation – in just 900 days. Artificial intelligence (AI) is on track to revolutionise the world as we know it. What will the luxury landscape look like once it comes into its own? We investigate the future at 2025, 2041 and 2066.. The man who helped launch the Apple Watch discusses his innovative future vision for Ulysse Nardin — and how he plans to take the iconic Swiss luxury watch brand to the “next level”. In the universe that is interior design, Kelly Hoppen is a supernova. Here, we talk to the ‘Queen of Cream’ about her reign and styling star homes.